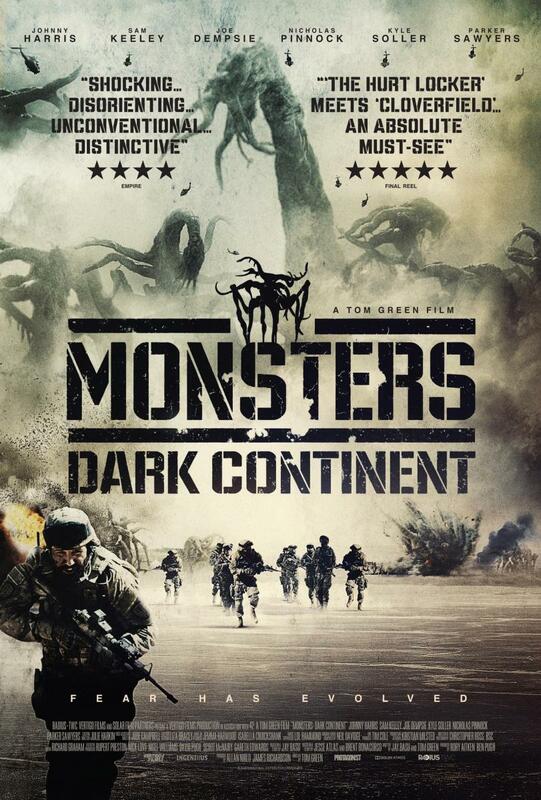 Movie Ramble: Monsters: Dark Continent. The opening scenes of Tom Green’s debut feature film pointed me in the direction of what I would judge to be a ‘Friday night’ lads movie. You know what I mean, pubs are closed take-outs and takeaways are purchased, the DVD is chosen and backsides are parked on comfy chairs. The DVD is started and we find ourselves in what we used to call the Motor City, that’s Detroit USA, four friends are spending there last day on American soil - booze, girls and dog fights are the order of the day - before their first tour that is the danger zone we call the Middle East. Along side the bog standard insurrection, that has to be dealt with to save the civilised world controlled by the mighty US, they have to fight monsters, which the movies pre-release publicity tells us are the same monsters first seen in Gareth Edwards Monsters (2010) with an elapsing time span of ten years. But I would beg to differ. Firstly I was mistaken as seeing this movie as a lads film it turns out to be something far deeper and darker than I had expected and I would dispute that it was a science fiction monster movie at all? You would also be wrong if you imagined this movie to be a sequel to Edwards 2010 movie and I would have to agree with Kim Newman’s comments that emphasised the fact that this was a ‘believable, pointed and sober film about war in the 21st century’. 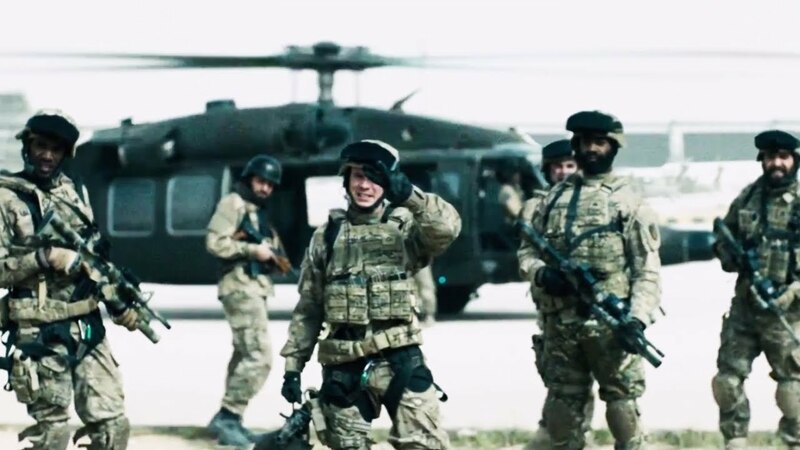 In my opinion this is a modern day war film showing the horrors of war where the monsters are there to represent the fear experienced by the soldiers sent to fight on behalf of the rich and powerful. Co-written by Green and Jay Basu there are two actors you will recognise in the cast, London to Brighton’s (2006) Johnny Harris who plays Frater a man who has served nine tours and is estranged from his wife, family and reality then there’s Joe Dempsie who you may have seen in 2011’s Blitz as the young solider Frankie. Don’t be put off by the indifferent critic reviews, and there’s no need to leave it until Friday night!